No longer safe or wanted in Sweden, Elin is determined to find a home for herself and her two younger sisters, Kirsten, and Sofia. The girls embark upon a difficult journey to America, paid for by their uncle in Chicago, or so they think. Suffering through squalid steerage accomodations aboard ship to an unwelcome greeting by Auntie in Chicago, the girls realize America is not the "heaven" they imagined it to be. Having no money or desire to return to Sweden, the girls find a job with a wealthy, demanding woman to clean her home which is being sold out from under her by her son and daughter-in-law. All the while, the three sisters are hoping and dreaming for a home... a real home. Lynn Austin's descriptions of Ellis Island in the late 1800's were amazing to me. I guess I naively thought that immigrants had a pretty easy time entering America. Austin tells of confused detainees and dirty dormitories...and the insufferable language barrier! 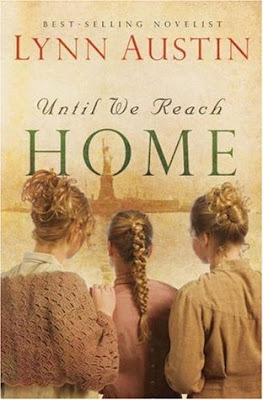 Until We Reach Home was well-written and an easy, enjoyable read. 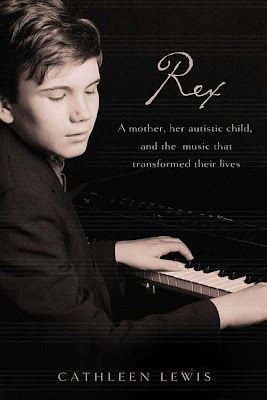 However, the book ended somewhat unsatisfactorily for me! I'm hoping Lynn Austin will continue the stories of Elin, Kirsten, and Sofia! I believe another book could be written... pretty please?! 432 pages by Bethany House. 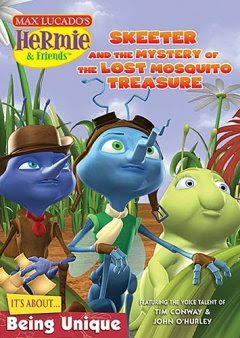 Skeeter and the Mystery of the Lost Mosquito Treasure is part of Max Lucado’s Hermie and Friends series. Surprisingly, my 2 ½ year old sat and watched the entire movie with me. I did not think it would hold her attention, but she seemed to enjoy it. Obviously, at 2 ½, I’m sure she did not understand the main lesson – uniqueness. Skeeter, a mosquito with a crooked stinger, has always felt badly that his stinger gives him a bad sense of direction and gets him lost. While Skeeter has a crooked stinger, his brother has a perfectly straight one and has been on all kinds of exciting adventures. Skeeter has always believed that his dad liked his brother better… Skeeter’s brother, Sinclair M. Skeeto, arrives in the garden to the awe and adoration of all the other insects. Sinclair is on a treasure hunt…and needs help! Much to Sinclair’s dismay, the only one who can help him is Skeeter. Working together, the two brothers realize that God made each of them special…and that their dad loved each of them for his own uniqueness. My only real complaint of the DVD is trivial to most, I’m sure. John O'Hurley, who I cannot stand, is the voice of Sinclair M. Skeeto. Drove me crazy and I wished to hurry through the story! However, Tim Conway fits his “Hermie” character quite perfectly. The DVD also contains bonus features, like a trivia game, silly nursery rhyme song, and a look into how sound gets into a movie. In a day and age where appropriate television is hard, if not impossible at times, to find, Skeeter and the Mystery of the Lost Mosquito Treasure is fairly safe. Our family is quite strict with what we allow ourselves to watch. Being a “Christian” based movie does not always mean that it is appropriate, either. I am not sure that the voice actors are “Christians” and it always bothers me when they are cast in such movies. Each family must use discernment in their viewing habits – whether for the child or adult! 60 minute DVD by Thomas Nelson Publishers. Gunshot, believing she is dying, and determined to free her father from prison, Anne, only a lady's maid, accepts a ridiculous marriage proposal from Ruel Chouteau, Lord Blackthorne, heir to his family's duchy. Ruel, knowing that Anne is a talented lace maker and holds the key to his plans of a lace dynasty, does everything is his power to make Anne well. Anne does recover from her wounds and is ashamed that she took matters into her own hands. Ruel and Anne play the part of a happy couple in love...in the public eye of London's aristocracy. Behind closed doors, however, quite the opposite is true. Both keep up with the charade in order to accomplish their own plans. Like many books with arranged marriages, or marriages of convenience, the reader can almost guess what will happen. Don't like each other at the beginning...adore each other at the end. However, the journey to love in this book was quite enjoyable. Catherine Palmer wove an exciting story that was hard to put down. The Bachelor's Bargain is book #2 in Palmer's "Miss Pickworth" series. Although some characters from the first book, The Affectionate Adversary, are mentioned, one can read them independently from each other and not miss a thing! Actually, I thought The Bachelor's Bargain was a much better read than the first book. 325 pages by Tyndale House.